Kashmiri Lal Mittal was employed by the IBM Corporation from 1972 through 1993. Currently, he is teaching and consulting worldwide in the broad areas of adhesion as well as surface cleaning. He has received numerous awards and honors including the title of doctor honoris causa from Maria Curie-Sk?odowska University, Lublin, Poland. He is the editor of more than 110 volumes dealing with adhesion measurement, adhesion of polymeric coatings, polymer surfaces, adhesive joints, adhesion promoters, thin films, polyimides, surface modification, surface cleaning, and surfactants. 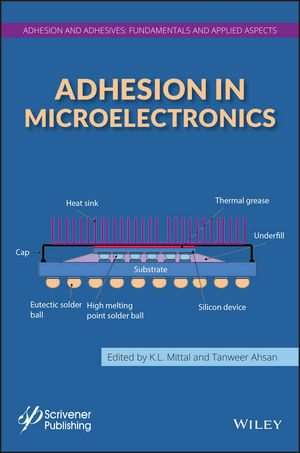 Dr. Mittal is also the Founding Editor of the journal Reviews of Adhesion and Adhesives. Tanweer Ahsan is a scientist engineer at Henkel Electronic Materials LLC in Irvine, California.